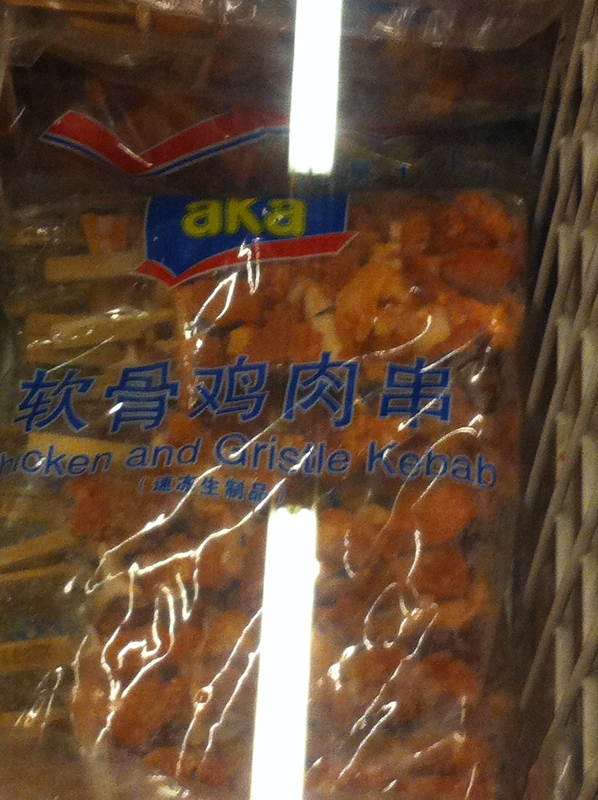 Hot Dried Meat Floss Bags, Green Pea Popsicles and Chicken Feet. 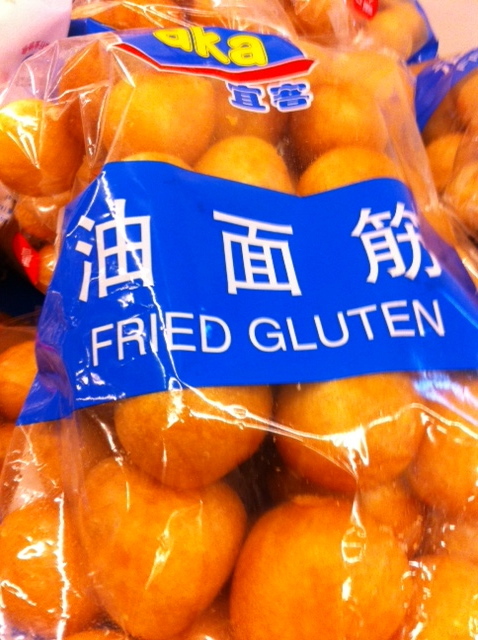 Grocery Shopping in China. Before moving to Shanghai, I was faced with the oft-asked question, “Aren’t you worried about moving to China?” I honestly responded with, “Not really.” I may have been lying a bit. Honestly, the thought of moving across the world did frighten me a bit, but a lot less than I truly thought it would. My main concerns were (and are) air quality and food. Yep. Those are two very important issues – especially with three children. Today I will focus on food. Food. I have a lot to say about the food in Shanghai, some of it is nice and some of it is not. For the nice…we live in a very international area. I can walk to restaurants that serve the following types of cuisine: Mexican, Italian, Thai, Pizza, Melbourne-ian (not sure what kind of food that might be? ), Japanese, Chinese (the kind that us mei guo ren are used to), real Chinese, Spanish, American and Indian. Whew, did I miss anything? We also have some expat grocery stores which offer a wide range of different products for most of the above mentioned cuisines: The Pines, City Shop, Ole and The Times. There is also Metro, the Chinese cousin of Costco. It’s decent, and you can find 100 kilo bags of dumpling flour alongside tiny jars of Skippy peanut butter. So far, so good. There are also the wet markets. I’ve only been to one so far. It’s where my ayi purchases her dumpling ingredients. Let me tell you about it. It’s on Yunshan Lu (in case you want to try it someday) and consists of a variety of vendors selling anything fresh – seafood, pork, chicken, veggies and dumpling and wonton wrappers. We went there to get pork dumpling ingredients and some chicken to make soup. Ayi goes to the same vendors every time. We went over to the pork lady and she grabbed two pork loins (with her bare hands) and tossed them into a meat grinder. Needless to say, the equipment is not inspected. Ever. Or possibly cleaned. Ever. We paid a very small sum and went to find the chicken vendor. He was not there, and since we did not have time for the other guy to “make” me a chicken, we decided there would be no soup and moved on. (Yes, I meant to say “make me a chicken” as there were many chickens hanging out, waiting for a chance to be soup. We didn’t have time for that.) 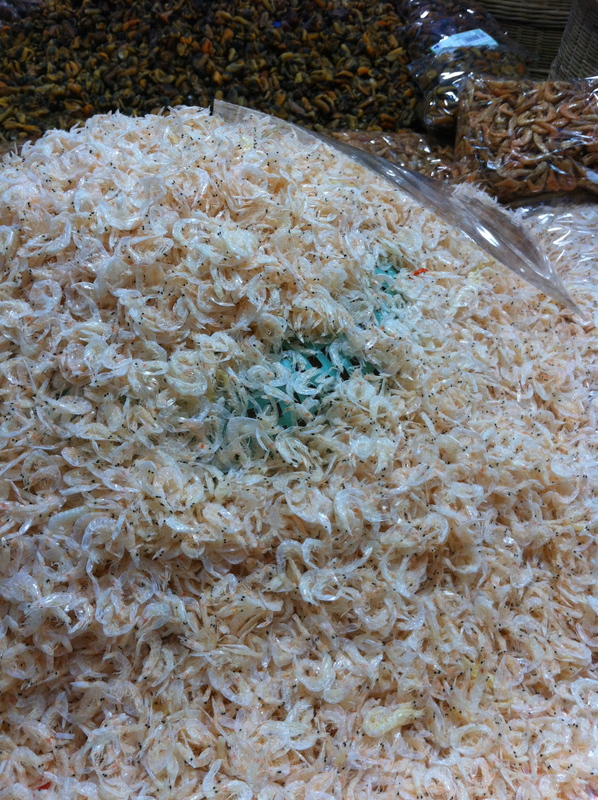 The dumpling lady had all different shapes and sizes of dumpling skins – all freshly made and very good. In the meat department, you have two choices. 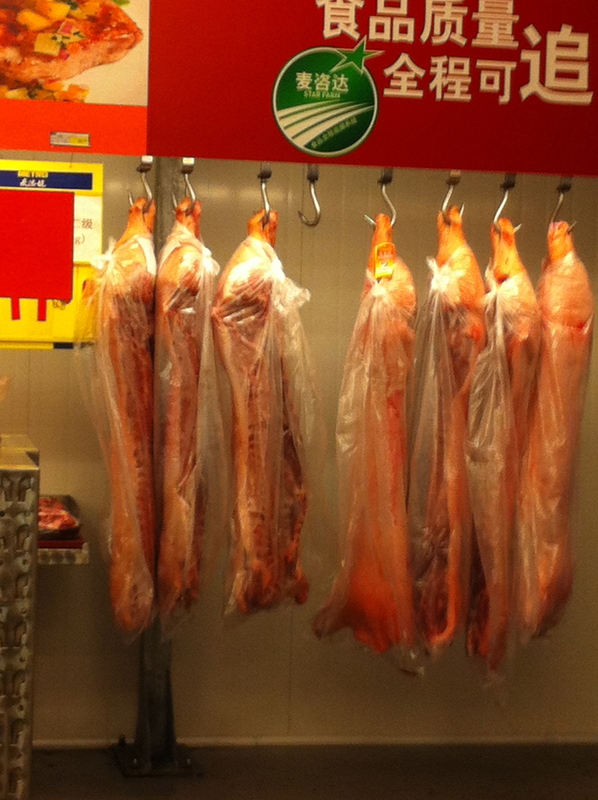 First, there is the wrapped meat section, where you can buy meats wrapped in plastic a’ la the USA. The cartoon characters show you the part of the animal from where the meat has come. (The cartoon pigs are usually smiling, which just makes me sad.) There are also some imported Australian meats and Tyson chicken. There are also entire chickens that are lying end to end, hanging out waiting to be soup. I swear they were looking at me. There is also the interesting looking black chicken, which is more expensive than the regular kind. The second meat area has butchers in white coats, cleavering everything in sight. The meat they are cutting does not end up in sterile containers, rather in piles of meat. Yep. Just piled out there for everyone to handle. Which they do. Picture this: you are shopping for the perfect apples at your favorite grocery store. You pick some up, dig down for the less bruised ones, then toss them in your bag. Now picture that with meat. Raw meat. Sigh. I know, I know. Americans are germ-phobes. Blah blah blah. Maybe so, but come on now. It is just too much for me. I refer to this as “meat hands”. This is how I see it…the customers dig through the meat to choose their favorite pieces, then take their “meat hands” and head over to produce where they touch everything thereby spreading the meatiness all over. Then off to the other departments where they do the same. On and on. All day. Every day. Somebody hand me the purell. Don’t get me wrong, I am not saying this is bad. It’s… Just. So. Different. Sometimes different is good. Sometimes it isn’t. 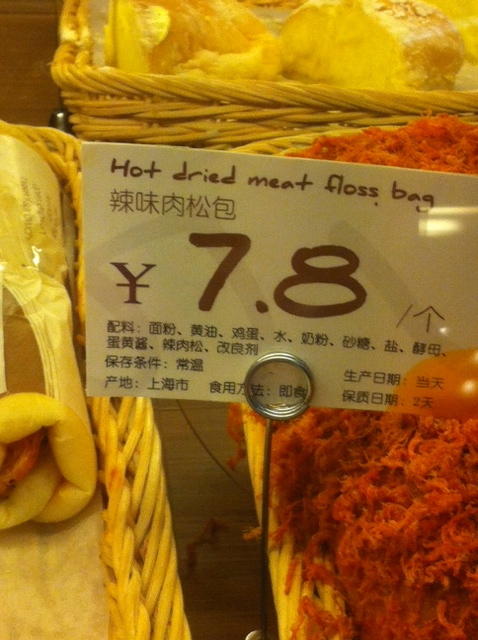 Sometimes it’s funny, like the dried fish and banana buns I saw today. I’m sure that the Chinese think the things we eat are completely disgusting and laugh behind our backs. I’m OK with that. Enjoy these yummy treats I’ve found at local grocery stores. Bon appetit! If I weren’t already a vegetarian, this would convert me immediately. 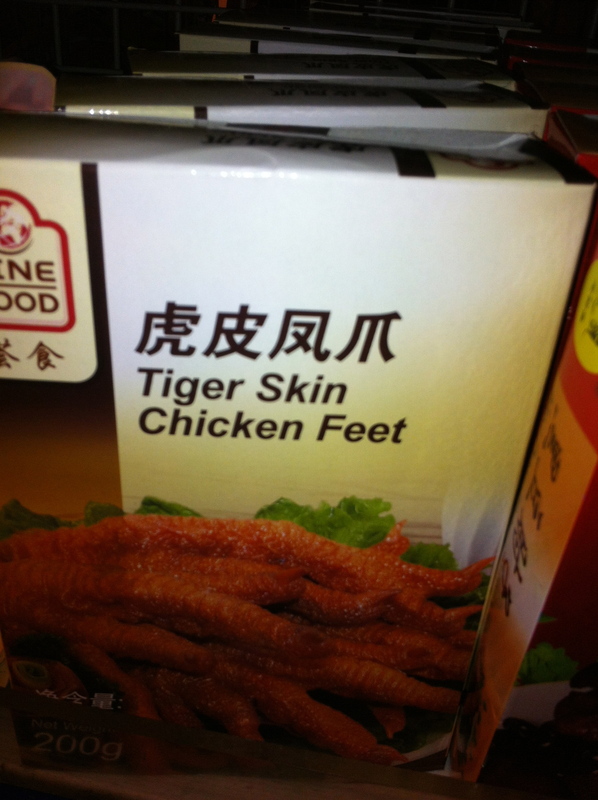 Not sure what I would eat!! Good luck! 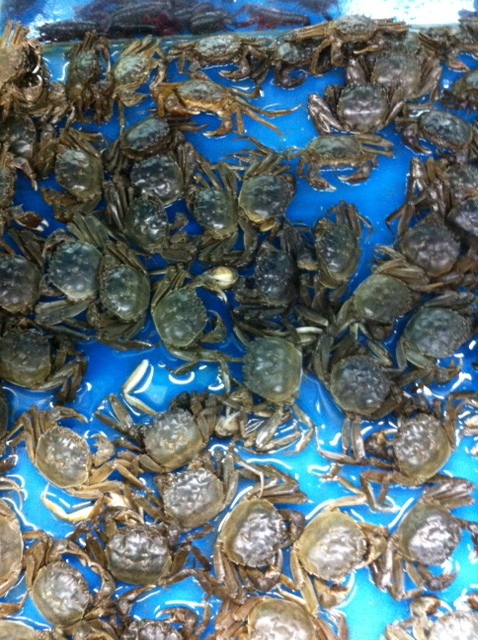 The crabs look normal if you like crabs but what is the last picture? I think I just threw up in my mouth. I will not be eating today. Gross! OMG! I wrote a similar post about Carrefour a few days after I arrived…what. a. nightmare. Are we surprised every new flu comes from China???? After living here…nope. Hahaha…and this is our life 🙂 Great post! Thanks, I just went back and read yours! We, Americans, are so grossed out by the “meat hands”! Everyone I meet really loves it here. I need to get out and really live in this city, now that my kids are in school. I’m hoping to figure out what I want to be when I grow up during my time here in Shanghai! 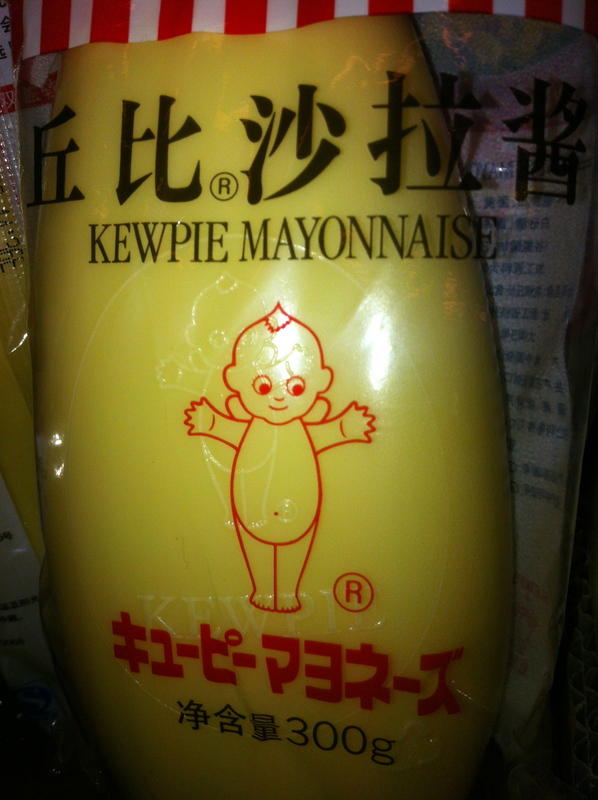 i will take the kewpie mayo for my collection! I saw that and IMMEDIATELY thought of you, Mona. I will bring one back for you, I promise!